On the farm today, the Twins system had a split between day matinee action and nighttime offerings. Across the system, there were a couple of strong starting performances, and despite early offense, a few games saw things get a bit too close late. Check out all of the action below. Sean Poppen was promoted prior to the game in order to make his Triple-A debut. Although not lights out, he was more than good enough on Wednesday. Turning in five innings of work, Poppen scattered five hits and two runs while walking three and fanning five. In line for the win when he bowed out, the bullpen got the job done and secured his first victory at the new level. Rochester jumped out to an early lead in this one against former Twins starter Hector Santiago. Veteran Wilin Rosario smacked a two-run shot in the first that put the good guys in the lead. Damage against Poppen came in the form of a single run each of the next two innings, and the game headed to the third inning deadlocked at two. Another former Twins hurler, Ryan O’Rourke, was on the bump for Syracuse in the sixth when he uncorked a wild pitch. Jordany Valdespin made it hurt as he crossed home plate and put the Red Wings back on top. Looking for some breathing room, Rochester broke out in a big way to start the ninth inning. Randy Cesar ripped his third double to drive in LaMonte Wade. A Wynston Sawyer single scored both Cesar and Wilin Rosario pushing the tally to 6-2. Valdespin then notched his first double of the season to score Zander Wiel and Sawyer. The 8-2 score went unchanged as Austin Adams locked it down and recorded his first save of the season. Twins prospect Jorge Alcala was on the bump for this one, and he improved to 2-0 on the season after another strong outing. Going five innings, he ceded just two runs while issuing no free passes and striking out four. Leaving the game with a 4-2 lead, the bullpen and lineup made sure to preserve the victory. Drew Maggi started off the scoring in the second inning with a solo blast, his first dinger in the Twins organization. Jimmy Kerrigan then doubled to score Brian Schales and Pensacola headed to the third up 2-0. After a Brian Schales fourth inning homer, also his first of the year and in the organization, the Blue Wahoo stepped out to a 3-0 tally going into the 5th inning. The Jumbo Shrimp began to claw back making it 3-2 before the bottom half of the fifth, but a Jaylin Davis solo blast gave Pensacola some breathing room once again. Schales then helped the cause again in the seventh. After Jacksonville drew within one, his second double of the season plated Davis to put the Wahoos back up by two at 5-3. Jacksonville got within one before this contest was over, but Ryan Mason worked 1 2/3 innings of scoreless baseball to secure the victory and pick up his first save on the season. After having Vladimir Guerrero Jr. in their lineup the past few days, Dunedin looked to take the field without the uber-prospect today. Fort Myers gave Royce Lewis his first day of rest this season, and the Miracle threw up a shutout in the matinee. Bryan Sammons earned his first victory on the year finishing one out shy of six innings pitched. He allowed just two hits on the afternoon and fanned eight batters while walking three. Scoring in this one was hard to come by, and after the Miracle jumped out to an early lead, that was enough to be the difference. A three-run second inning was sparked by doubles from Aaron Whitefield and Mark Contreras. The two teams would go scoreless until the 8th when Lewin Diaz, last night’s hero, drove in Jose Miranda on a sac fly. Looking for their second win on the young season the Kernels sent Blayne Enlow to the mound. 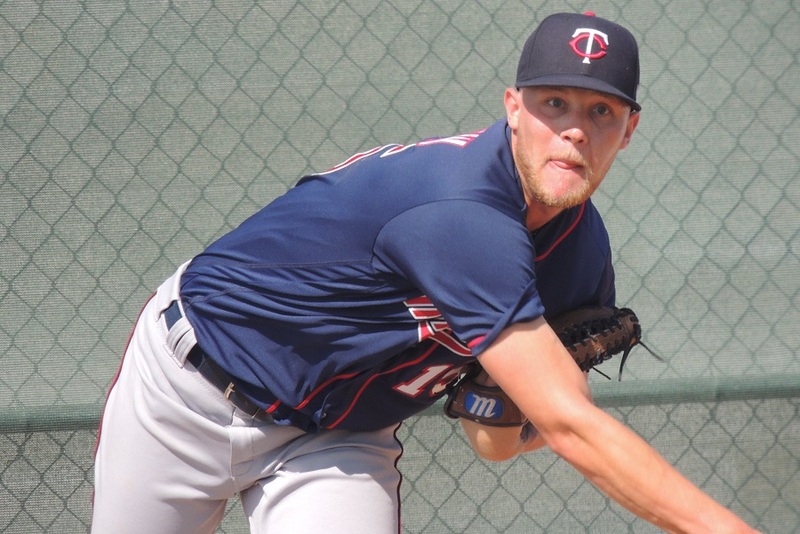 Hoping to rebound from an ugly 2019 debut, the Twins prospect left after five quality innings. Generating five strikeouts and walking just one while allowing only one run, this is a start the Louisiana product can build off of. Cedar Rapids found themselves in a 1-0 hole after the first inning, but they rebounded quickly with a run of their own in the second. Jean Carlos Arias reached first on a throwing error allowing Trey Cabbage to notch the first run for the home team. From there, the Kernels looked to put distance between themselves and the Cougars. A four-run fifth inning had the home team up by a 5-1 tally. Yunior Severino singled to right, and Chris Williams grabbed his first double of the season. Up 3-1 after those two at-bats, Williams came across after an error on a Trey Cabbage at bat, and Andrew Bechtold singled to drive in Cabbage. With the bases juiced in the eigth inning things got a bit dicey for Cedar Rapids. The Cougars ripped off a bases-clearing double that reduced the deficit to just one run. Joe Record came on in the ninth to slam the door however, and grabbed his first save of the season while striking out the side. I love love LOVE these minor league recaps to find out what the kids are up to. Lots to feel good about last night down on the farm, beginning with FOUR wins! Great seeing Enlow have a very good start after that ugly first game.Lets hope he can back it up next time out.Also great seeing Larnach have two hits after his slow start. What may be most exciting about this report is the list of tonight's starting pitchers.It is not unrealistic to think that all four could be part of a future Twins starting rotation.Really want to see Thorpe have a good start after being moved up for his first start and not doing well.Hopefully, all four will have quality starts, but who will be the best tonight? Is Poppen staying in Rochester or was this just a spot start? One might have said: "Joe Record came on in the ninth to slam the door however, and grabbed his to RECORD his first save of the season while striking out the side." I posted an arrogant post a few weeks ago claiming that the '19 Miracles would become the '23 Twins.Well, as the box score attests, there are three pitchers with ERAs of zero. .167, .190, .185, .071, .133, .222, .077. Again, I acknowledge the small sample size.And, if one or two hitters had sub .200 batting averages I would be more patient.But I don't know what to make of SEVEN bad starts. And, small sample sizes should provide wide variance, but they should be symmetric.So, every .071 BA should be offset with an OPS of 2.000 (All Hail La Tortuga!). Nope. He was sent back to AA after the game.